In case you live under a rock, CLE just finished a wild week hosting the 2016 Republican National Convention. With the way people were talking and planning, we knew our city would not only be under the limelight for several days, but that things would either turn out just fine, or be total chaos downtown. 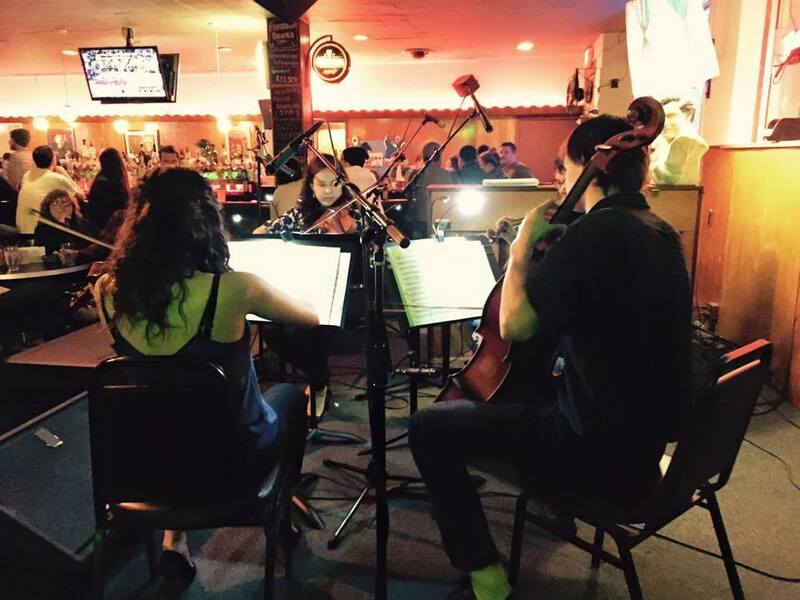 Thankfully, we all lived through it (with peacefulness and tolerance to boot), and Classical Revolution CLE was excited to present our annual July double-show in the midst of it all, just a couple of miles west at The Happy Dog. Every year, on the third Tuesday in July, Classical Revolution CLE hosts a “mini-show” before the main show, welcoming pint-size performers to the stage at our favorite hot dog bar to share their music. For many, it’s their first time onstage in such a venue, and for the third year in a row, the house was PACKED. We had a fantastic string trio from the Western Reserve Chamber Festival, violin students from the Gordon Square neighborhood, and a talented young pianist from CIM’s preparatory department. Once the first hour wrapped up and the young performers packed up their instruments, the cast of usual suspects took to the stage and covered everything from Rihanna to Woody Guthrie, to John Lennon and WAR, commemorating a night of political diversity and remembering that music is one of the best connectors in our society. Music by Mozart, Debussy, Bartok, and more soon followed. Enjoy a few pics from the night below! **Our next show will be on Tuesday, August 16, at The Happy Dog (5801 Detroit Ave. Cleveland, OH 44102). Cheers! Next Musician Feature: The Mossburg Duo!